We’re glad to see NYFA 1-Year Documentary Filmmaking alum Frederik Boll keeps popping up on our radar! You may remember Frederik from his work documenting adventures in grassroots politics on the BamaBus in 2008. 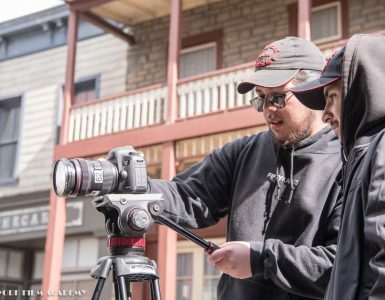 He and fellow Documentary Filmmaking alumnus Annie Woods took a road trip across the country generating support for the future President of the United States and filming the American experience during election season. Well, we got wind that Fred’s been up to some other fantastic projects. 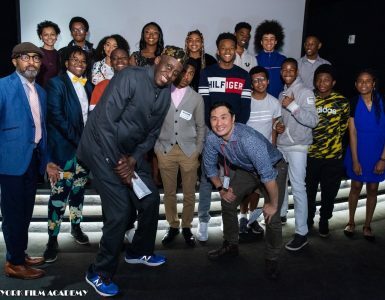 After getting in touch, Fred was kind enough to give us a little summary of his adventures since NYFA and how he ended up at the New York Film Academy in the first place. My Life changed after my experience as a NATO soldier in Kosovo for the Danish Royal Guard. It was a very peaceful mission where we mostly did humanitarian work. Kosovo is the poorest country in Europe, and it made a huge impression on me. I quickly found that I felt a tremendous sense of satisfaction from helping others. When I returned to Denmark, my good friend who works as a videographer offered me a room, which I gratefully accepted. I started tagging along on a couple of the productions he was working on and found out that I really enjoyed it. I started contacting various production companies and found work as a production assistant. I had found my calling. I wanted to make pro social documentary films, a media where I can challenge people’s view of the world by telling a story on a creative and entertaining way. I knew that I would need to learn my craft. I applied to several Danish schools, but I needed one with a film department. I had a better idea: I was going to move to America. I was accepted into NYFA’s Documentary Conservatory Program and moved to New York less than a month after I had turned down school in Denmark. It is one of the greatest learning experience I’ve ever had. It culminated with my thesis film where I followed a group of Latino immigrants’ struggle against NYC to keep their artisan food stands in Brooklyn. Straight after school, I was given the opportunity of a lifetime. It was election year, and the US was brimming with excitement. A couple of my friends had decided to buy an old VW bus, stencil it with Obama’s picture and drive it through all the battleground states in hopes of engaging young people in the political debate. I was invited along to film the entire trip. We paid for the trip by selling spray painted political t-shirts that Obama supporters painted themselves. It meant a lot to me that I got to experience that election. When I finally returned to New york, it didn’t take long before I was called up by one of the guys I traveled with, asking me to become involved with a start-up company where he’d just begun working. The company has the same sense of social responsibility that I strive to live my life by – it’s a place where I feel I can make a difference. Along with his work on the BamaBus, Frederik Boll has worked with Volunteers of America, an organization that goes out to the most violent urban areas in America to help the homeless into shelters. In Camden, New Jersey, he accompanied VoA’s Hal Miller helping people out of tent cities and into save houses. 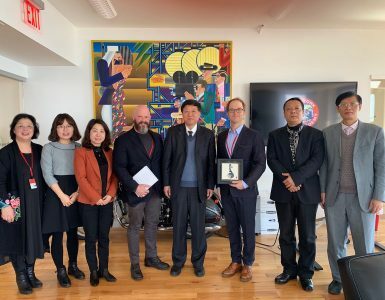 Boll also filmed a video for the Jon Bon Jovi Soul Foundation, the COP15 summit in Copenhagen and, most recently, the China Digital Media Summit, amongst other projects. We can’t wait to hear more about your work Fred!